The US United Nations Ambassador, Susan Rice, has come under increasing fire from Senate Republicans over her remarks surrounding the attack on the US consulate in Benghazi last month. In several television appearances, Ambassador Rice (following the information she had been provided by the administration based on “preliminary intelligence”) said that the attack was the result of protests over an anti-Muslim film. More detailed analysis later proved that the attacks used the cover of the protests but were in fact premeditated attacks by Islamic militants. Blogging at Duck of Minerva last week, Josh Busby asks “Why Does John McCain Hate Susan Rice?” In doing so, Busby notes that Susan Rice has more in common with McCain than other potential nominees. 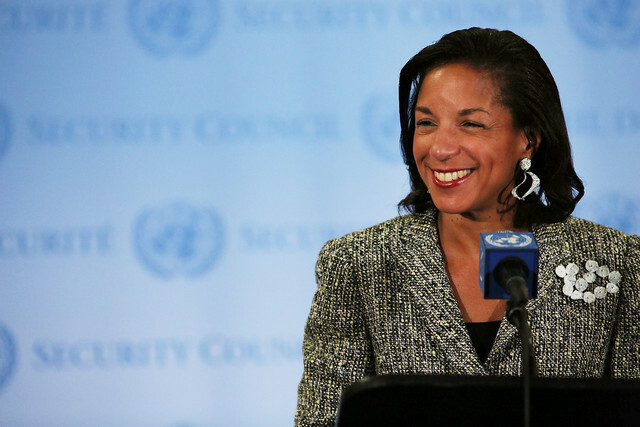 Rice has been a strong proponent of American intervention in Libya, Syria, and Darfur. And she has advocated using military force in support of American interests and to prevent atrocities abroad. Where realists are quite conservative about the prospects for using force in defense of the country’s values, both liberal internationalists and neocons are optimistic about the ability to remake the world in the image of the United States. That is what makes them both liberal. Indeed, neoconservative is a misnomer. They really should have been called liberal nationalists. Where they differ from liberal internationalists is on means. Liberal internationalists prefer multilateral instruments to address foreign policy problems whereas neocons prefer national ones. That distinction is an important one, and one that students often miss. Often assuming that realists are more likely to support the use of force and liberals less likely, we sometimes conflate the tendency to use force with the motivation for it. From this perspective, realists would likely oppose the use of American military force in Afghanistan and Iraq, because no clear national interest is at stake. By contrast, such wars could be supported by liberals because, from their perspective, the use of force to establish a more democratic international order is morally justified. Perspectives become more complicated when we move from the abstract to the real world. 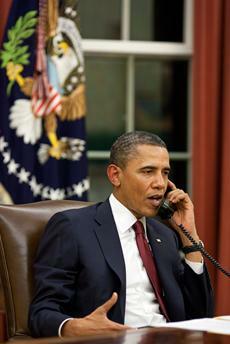 Does the United States have a national interest in Libya? In Syria? In Rwanda? Should the lack of a national interest preclude us from intervening to prevent crimes against humanity, such as was the case in the 1994 Rwandan genocide? What do you think? Should the US military be used in support of humanitarian intervention or to establish democracy abroad? Or should the United States limit its involvement to areas where it has a clearly defined national interest? Take the poll or leave a comment and let us know what you think. Today marks the 50th anniversary of the height of the Cuban Missile Crisis. On October 27, 1960, a US U-2 spy plane was shot down over Cuba by a Soviet missile crew. The crisis began two week earlier, when CIA flights located and identified Soviet missile installations on the island. By October 27, the options had been considered, the blockade/quarantine had been imposed, and secret negotiations were underway. After the first U2 plane was shot down, the US sent another. It was decided at the time that the second flight was ordered that because antiaircraft missile batteries in Cuba were under direct Soviet control, a second downed plane would represent an escalation on the part of the Soviets, and the US would respond with a full-scale attack against Cuba. This would have necessitated a Soviet response, likely by invading US allies in Europe. Fortunately, according to McNamara’s recollection, Soviet Premier Khrushchev had reached a similar conclusion and ordered the Soviet commander in Cuba to refrain from responding to US over flights of the island. dropping “signaling depth charges” on the Soviet Foxtrot-class B-59 diesel-electric submarine. Unknown to the US Navy at the time, the B-59 was equipped with nuclear-tipped torpedoes and had orders to launch them if the submarine’s hull was breached. The decision to launch the nuclear torpedoes required the concurrence of the three ranking officers. 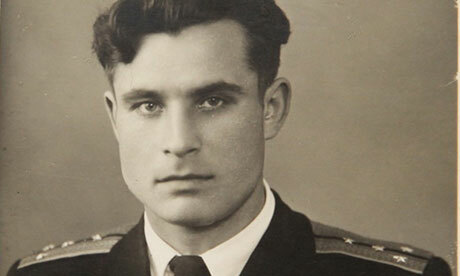 While two concurred, the third, Vasili Arkhipov, refused, and the torpedoes were never launched. Another U2 spy plane accidently made an unauthorized ninety-minute flight over the far eastern coast of the Soviet Union. This prompted the Soviets to launch interceptors from their bases in the region. The US similarly scrambled American fighters armed with nuclear air-to-air missiles over the Bering Sea. The U2 spy plane was recalled, and there was no engagement between the fighters. 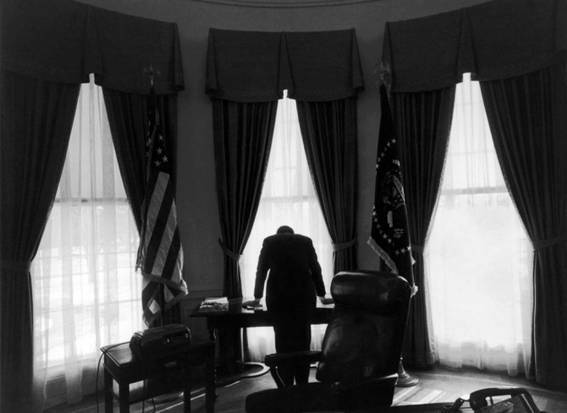 The crisis itself was averted the morning of October 28, when Kennedy and Khrushchev agreed to deescalate the crisis. The Soviet Union agreed to withdraw its missiles from Cuba. In exchange, the United States agreed to issue a speech at the United Nations in which it promised to recognize the inviolability of Cuba’s borders, its sovereignty, and to refrain from interfering in its internal affairs. The United States also secretly agreed to remove US missiles from Italy and Turkey. Fifty years ago, the Cuban missile crisis brought the world to the brink of nuclear disaster. During the standoff, U.S. President John F. Kennedy thought the chance of escalation to war was “between 1 in 3 and even,” and what we have learned in later decades has done nothing to lengthen those odds. We now know, for example, that in addition to nuclear-armed ballistic missiles, the Soviet Union had deployed 100 tactical nuclear weapons to Cuba, and the local Soviet commander there could have launched these weapons without additional codes or commands from Moscow. The U.S. air strike and invasion that were scheduled for the third week of the confrontation would likely have triggered a nuclear response against American ships and troops, and perhaps even Miami. The resulting war might have led to the deaths of 100 million Americans and over 100 million Russians. So why were we able to avoid the devastation to which Alison refers? Realists and liberals offer competing explanations. For realists, American military superiority made the Soviets less likely to follow through on their threats. At the time, the United States had a 17 to 1 advantage in nuclear capability. Assuming rationality, Khrushchev could not stand up to the United States nor force them to back down. Left with no other choice, Khrushchev backed down. But what about personal motivation? Both Kennedy and Khrushchev understood that neither side could win a nuclear exchange. Both were afraid that once conflict started, it would escalate beyond control. Clear lines of communication (and thus empathy) between Kennedy and Khrushchev would allow them to recognize and overcome the no-win situation. Indeed, after the crisis was resolved, a red phone system was set up to facilitate direct communication between the White House and the Kremlin. What do you think? Is the realist or the liberal explanation of the Cuban Missile Crisis more compelling? Or does another approach offer a richer understanding. Take the poll and let us know what you think. The “Westphalian shield” allows all nations to dismiss any requirements coming from the global system to safeguard humanity’s longer-term survival as acts of interference in its internal, national affairs. The shield of sovereignty was not to be pierced. This is an interesting concession from the man who oversees the World Trade Organization and, at least until recently, had been desperately trying to bring the United States, the European Union, and other major economies to agreement on a new round of trade liberalization. Indeed, Lamy’s argument raises a couple of interesting questions for students of global politics. First, how do domestic politics and international diplomacy interact? There’s a rich literature on two-level games in international relations dealing with this topic, suggesting the relationship is not as simple as we might like to think. Second, what is the basis for cooperation in international negotiations, particularly international economic negotiations? For liberal IR scholars, the gains from trade outweigh the costs, so we should prefer liberalization to non-liberalization. But the failure of the WTO to conclude the Doha Round (and the Seattle Round before that) suggests that states do not always behave in ways that the theory suggests they should. Finally, how does the sovereignty of states, the “Westphalian shield” as Lamy terms it, undermine the prospects of international diplomacy? Realist IR scholars have long asserted that the presence of sovereignty creates an anarchic international system in which cooperation is difficult to maintain. In this context, collective goods problems frequently emerge. What’s interesting about Lamy’s position is the degree to which he appears to have embraced the realist framework. What do you think? Does the anarchic system of the international system undermine the possibility of cooperation in economic relations between states? If so, how can we explain the general trend of greater cooperation and coordination between states since the end of World War II? Does the global financial crisis affect the calculation of states in new ways? Let us know what you think. Will the covert nature of many aggressive operations conducted by the Obama Administration make Americans unprepared for the eventual retaliation? Reciprocity involves responding in kind to another’s actions. It can take either a positive form–where cooperation begets cooperation–or a negative form, as in “an eye for an eye” retaliation. In the anarchic world of international politics (where no world government exists to enforce cooperation or punish wrongdoing) reciprocity is an important tool for states to achieve mutual goals and enforce otherwise unenforceable international laws and norms of behavior. In short, states can generally expect that positive actions toward others will be rewarded while negative actions will be punished. Reciprocity works best when information is perfect: each actor knows both (a) what they have done to others and (b) what others have done to them. This kind of transparency is necessary in order to know how to respond to others (because you know how they treated you) and what kind of behavior to anticipate from others (because you understand the character of your actions toward them). But when accurate information is lacking due to secrecy or misperception, carefully calibrated strategies of reciprocity can give way to confusion, ignorance, counterproductive policies, and costly conflict. Middle Eastern populations experience similar misperceptions when conspiracy theories abound that attribute any negative outcome in their societies to CIA or Israeli plotting. In this distorted informational environment–a far cry from the ideal of perfect information–neither side is able to engage in a mature, clear-headed reciprocity relationship with the other. Instead, each side may find itself “shadow boxing”–locked in a battle with a somewhat imaginary, stereotyped foe whose actions they don’t comprehend well enough to respond to effectively. What do you think? Does Walt provide a convincing explanation for many Americans’ professed ignorance on the “why do they hate us” question? Is there any alternative to keeping these covert operations out of public view? Short of declassifying all such operations, how might governments begin to remove distortions in the “informational environment” that might lead to suboptimal decision-making? Is a Counter-Revolutionary “Concert of Arabia” Rising? 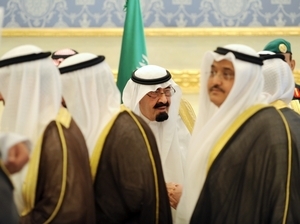 Saudi King Abdullah is pushing to form a coalition of Gulf monarchies that can contain the chaos of the Arab Spring. Nearly 200 years after the Concert of Europe, is history repeating itself with the rise of a Saudi-led Concert of Arabia? In 1815, in fearful reaction to the power of France and the democratic yearnings unleashed by the French Revolution, the great powers of Austria, Prussia, Russia, and the United Kingdom formed the Concert of Europe. The Concert was intended to contain France after the defeat of Napoleon, but it was held together by a shared desire (particularly on the part of Russia, Prussia, and Austria) to contain democratic aspirations and maintain monarchic rule. In fact, these three conservative eastern monarchies formalized their mutual interest in stopping revolution through the Holy Alliance. In his book Diplomacy, Henry Kissinger argues that it was combination of perceived threat (from France) and shared values (anti-democratic sentiment) that held the alliance together. One might point to the Cold War-era bloc of Western democracies as another example of an alliance held together both by a shared threat (the Soviet Union) and shared values (anti-Communism). Fast-forward 200 years. Saudi Arabia is pushing for a union of Middle Eastern monarchies to contain the fervor of the Arab Spring: “Saudi Arabia’s rulers fear that the contagion of popular revolt could reach their country’s borders and stir its own disenfranchised citizens and residents, including dissidents, members of minority groups and foreign workers, analysts said. ‘They don’t want the spirit of our uprising to reach their shores,’ said Sayed Hadi al-Mosawi, a Bahraini opposition politician.” Saudi Arabia is worried not merely about democracy but about the rise of Iran and the power of its Shiite allies in places like Bahrain and Syria. You can read more about Saudi Arabia’s “counter-revolution,” going back to last summer, here. As discussed previously in this blog, this concern for maintaining stability and fear of the chaos the Arab Spring might unleash is a perspective shared by Western “realists.” Does this put realists on the “wrong side of history,” or is their perspective a prudent one, given the unknowns associated with empowering popular movements (including the Muslim Brotherhood and more radical groups) in the Middle East? Can Realism Solve America’s (and the World’s) Foreign Policy Problems? 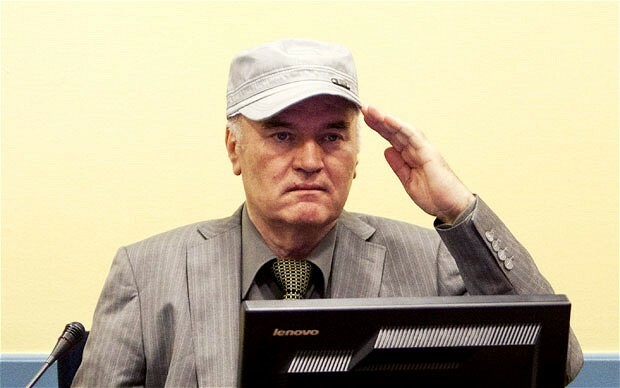 Former Bosnian Serb General Ratko Mladic is on trial for war crimes, including genocide, for his role in the 1992-95 Bosnian War. Stephen Walt argues that Bosnia is one of the few things realists might have gotten wrong over the past two decades. Noted realist and Harvard professor Stephen Walt recently made a blog post entitled “What if realists were in charge of U.S. foreign policy?” It offers a top ten list of ways the world would be better off with realists in charge, rather than the coalition of “neoconservatives and liberal internationalists” that Walt suggests have made a mess of U.S. foreign policy. 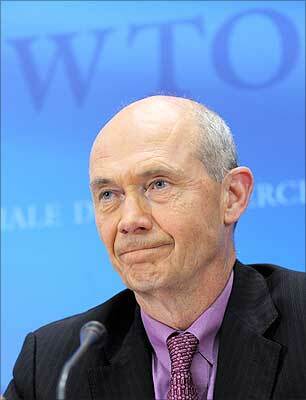 Recall that the realist approach to international relations is pessimistic about the prospects for lasting peace and cooperation and emphasizes national interests, stability, and a balance of power, while idealists (sometimes called liberals) believe morality should play a role in foreign policy and are optimistic that trade, international organizations, and democracy can help to promote peace and cooperation among states. This previous blog post provides an overview of realism and idealism in the context of democracy promotion in the Middle East. Walt is certainly a master at articulating the realist critiques of recent American foreign policy and suggesting how realists would have “done better” if at the helm. For a similar (and more entertaining) argument for the superiority of realism that uses characters from the Godfather as representatives of realism (Michael Corleone), liberal institutionalism (Tom Hagen), and neoconservatism (Sonny Corleone), see the short book entitled The Godfather Doctrine. But is Walt’s depiction unduly rosy and aided by the benefit of hindsight? To hear Walt tell it, most of America’s (and many of the world’s) problems could be solved by enlightened realist policies. His top ten list doesn’t grapple with the uncertainty or the complexity of the tradeoffs that confront policymakers on a host of issues, and he only briefly acknowledges that staying out of Bosnia, Kosovo, and Libya may have had some humanitarian downsides (e.g., genocide in the case of Bosnia). What do you think? Does Walt’s list make a compelling case for the superiority of the realist approach to world politics? (He explains each point on his top ten list). Or does his commitment to the realist perspective create “blinders” to the weaknesses or ambiguities of implementing a realist foreign policy? 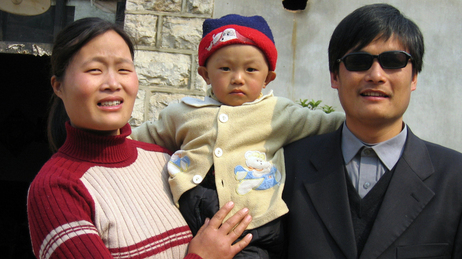 Chinese dissident Chen Guangcheng with his wife and son in 2005. Chen Guangcheng, a blind Chinese dissident and human rights lawyer, made a daring escape from house arrest this week and somehow made it to the U.S. embassy in Beijing, where he now sits. This will make for an uncomfortable visit to China later this week by Secretary of State Hillary Clinton and Treasury Secretary Timothy Geithner as they meet Chinese officials in a “Strategic and Economic Dialogue.” As explained in this New York Times analysis, the politics of this case are complex and militate against an easy solution for several reasons: (1) President Obama is under domestic political pressure in his reelection campaign to show toughness on China, (2) the Obama administration has praised Mr. Chen as a human rights leader, making it difficult to simply hand him over to the Chinese authorities, (3) moderate Chinese officials are under pressure from hardliners who will likely claim this incident is part of a U.S.-driven conspiracy to embarrass China, and (4) China’s economic and military rise has given its leaders greater self-confidence in dealing with America than at any time in recent memory. Beyond these broad political constraints, Mr. Chen’s fate will depend on whether the Obama administration is more willing to act according to realism or idealism. These opposing approaches to world politics emphasize very different priorities and methods. For realists, the national interest (defined largely in terms of economic and military power) reigns supreme, and issues like human rights, the environment, and economic development are frequently viewed as an unnecessary distraction unless they directly affect the national interest in some way. For idealists, these “values” issues should not be crowded out by national interests, narrowly defined, since we live in a global village and cannot divorce ourselves from the fate of other human beings. Realist presidents like Richard Nixon and George H. W. Bush have been willing to downplay Chinese human rights violations because a stable security and trade relationship with the rising Asian power is seen as vital to America’s national interests. Presidents with stronger idealist inclinations, such as Bill Clinton and Jimmy Carter, have decried the subordination of human rights to crass material self-interest but when in power have frequently pursued policies not much different from their realist counterparts. If the Obama administration (which has shown some evidence of both realist and idealist tendencies at different times) chooses to focus on America’s economic and security interests, Mr. Chen may very well find himself back in the hands of Chinese authorities before long. If, on the other hand, their concern for human rights (or fear of the domestic political costs of “caving” to China) is sufficiently strong, a prolonged standoff with China could result–with serious implications for the U.S.-China relationship. What do you think? Should the U.S. return Mr. Chen to Chinese custody? What are the consequences of doing so? Of refusing to do so? Do you expect the Obama administration to act according to the dictates of realism or idealism in this case, and why?